break away roping in the past. was raced on the track as a colt. Won money at NBHA, BBR, Mile Hi, NABRS, and NE4D barrel races. 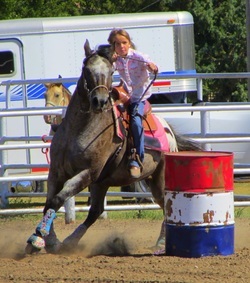 Raising colts and barrel racing is the job that Roanie loves best. and the other a palomino. Both are stout and good looking. on Saturday in 2011 as a 4 year old. 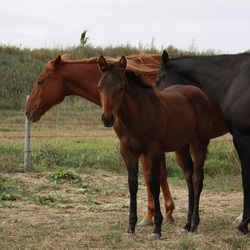 This mare is started on the barrels and used for breeding. 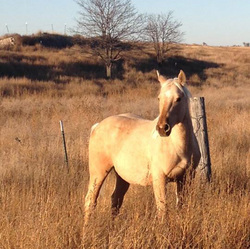 This mare is being used for breeding by Milliman Quarter Horses. Has produced two beautiful filly's. We can't wait until they are big enough to ride! This colt was breed by our stud, JA Buck Frost and our mare, JA Bluedrift Simba. Plans for this stout colt include barrel racing and futurities as a 5 year old. This mare was bred by our stud, Lucky Dude Jack and our mare Gunnin For Chex. 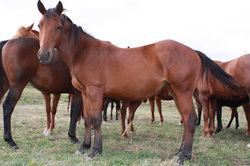 Plans for this feminine mare include barrel racing and breeding. Raced by Jessica for her Nebraska owner. Plans for this mare include racing as a futurity colt and breeding. Our partnership just loved the way Roanie was built and worked, so we found her half sister. This guy we are super excited about. He was born on Jessica's birthday and we just can't wait for him to get big. We plan to run barrels on him and futurity him in his mother's footsteps. 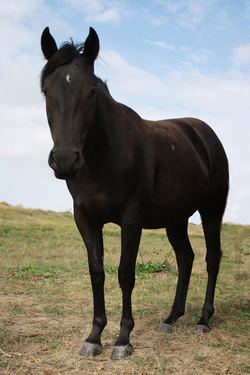 At the age of 22, this gelding , Bear, was called home, but we think he needs included on this page with our horses. 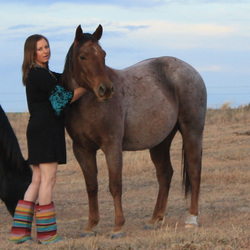 Clint's parents also raise Quarter Horses and Appaloosa Horses. Bear was born on their place in Illinois and moved to Kansas with Clint. This horse holds a special place in both of our hearts along with the hearts of many others that he had touched and helped throughout his life. Bear is photographed here with his special friend, Morgan Keith. Together they learned to run barrels and they won numerous PeeWee awards. In addition to running barrels, Bear was used for showing Western Pleasure and Trail, trail riding, carrying flags, and helping new riders learn to ride.